Three UC Santa Cruz professors are among 14 new fellows elected to the California Academy of Sciences for 2018. Academy fellows are a governing group of more than 450 distinguished scientists and other leaders who have made notable contributions to science or science education and communication. Nominated by their colleagues and selected by the board of trustees, the fellows are partners and collaborators in the pursuit of the academy's mission to explore, explain, and sustain life. 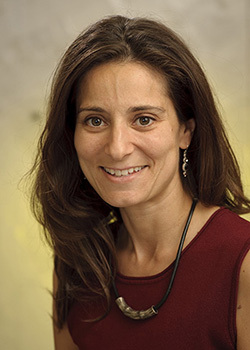 Natalie Batalha, who joined the UCSC faculty in October as a professor of astronomy and astrophysics after serving as Kepler project scientist at NASA's Ames Research Center. The three new fellows join 29 other UCSC faculty as fellows of the academy, as well as four more who are honorary fellows. The new fellows were inducted at a meeting of the academy on October 9. Max is a pioneer in the field of adaptive optics, a technology that removes the blurring effects of turbulence in the Earth's atmosphere, allowing telescopes on the ground to see as clearly as if they were in space. She earned her undergraduate degree from Radcliffe College and a Ph.D. from Princeton University and worked as a physicist at Lawrence Livermore National Laboratory. 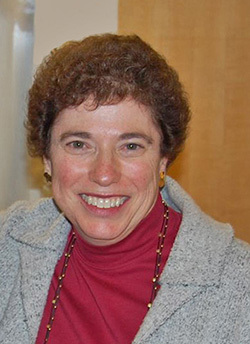 At UC Santa Cruz she served as director of the Center for Adaptive Optics. Max’s current research interests include using adaptive optics and laser guide stars to dramatically improve astronomical images. She uses these tools at the Lick and Keck Observatories to study the fate of supermassive black holes during mergers of nearby galaxies. Shapiro is an evolutionary biologist who specializes in the genetics of ice age animals and plants. 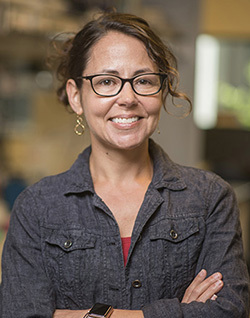 She develops techniques to recover increasingly trace amounts of DNA from museum, environmental, and forensic samples, and then uses these data to study how species and ecosystems evolved through time. She is particularly interested in understanding how human activities affect this dynamic process. A 2009 MacArthur Fellow, Shapiro is also an award-winning popular science author and communicator who uses her research as a platform to explore the potential of new genomic technologies for conservation and medicine. As an astrophysicist at NASA Ames Research Center, Batalha has been working to detect and characterize planets orbiting other stars, with the ultimate goal of finding evidence of life beyond our solar system. Batalha earned a B.S. in physics at UC Berkeley and a Ph.D. in astrophysics at UC Santa Cruz. She served as the science lead for NASA’s Kepler mission from 2011 to 2017 and led the analysis that yielded the 2011 discovery of Kepler-10b, the mission’s first confirmation of a rocky planet outside our solar system. Batalha was awarded a NASA Public Service Medal and the Smithsonian Ingenuity Award for her work. The California Academy of Sciences is a multifaceted scientific institution committed to leading-edge research, to educational outreach, and to finding new and innovative ways to engage and inspire the public. It was founded in 1853 to conduct natural science research. Today, the academy's Institute for Biodiversity Science and Sustainability continues to discover, document, and share knowledge of the natural world.